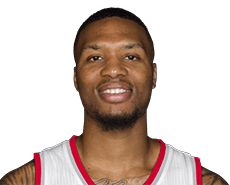 After rather poor showings in Games 1 and 2 against the Clippers, Portland guards Damian Lillard and C.J. McCollum really came through for the Portland Trail Blazers on Saturday in their 96-88 Game 3 victory over the Clippers. Lillard scored 32 points on 10 of 20 shooting, McCollum had 27 points on 11 of 22 from the field. Lillard did have five turnovers. But he got off to a hot start, scoring 12 of his points in the first quarter. Clippers sixth-man Jamal Crawford had high praise for Lillard. Portland guards Damian Lillard and C.J. McCollum, who struggled mightily against the Clippers in the first two games of their first-round playoff series, scored a respective 16 and 17 points in the first half Saturday as the Trail Blazers took a lead of 49-40 over the Clippers into halftime in Game 3 at Moda Center in Portland. The Clippers lead the series 2-0. Lillard shot 5 of 10, McCollum 7 of 12. Chris Paul led the Clippers with 13 points, Blake Griffin scored eight and DeAndre Jordan had six points and nine rebounds. Sixth-man Jamal Crawford shot 2 of 8 in the half, scoring four points. Clippers coach Doc Rivers is never shy about shooting down the theory of a reporter. Take Tuesday. Basically, Rivers was asked if Dallas’ victory over Oklahoma City in Game 2 of their series demonstrates to his players they can’t take anything for granted. OKC had beaten Dallas 108-70 in Game 1 before falling 85-84 in Game 2, both games being played at OKC. The Clippers beat Portland 115-95 in Game 1 Sunday at Staples Center. Game 2 is Wednesday night at 7:30 at Staples Center. 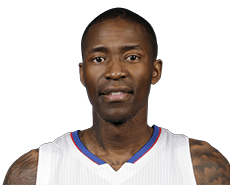 PLAYA VISTA – Jamal Crawford stood at the dais Tuesday afternoon at the L.A. Clippers’ training facility. He was named NBA Sixth Man of the Year for a record third time earlier in the day. At 36, he became the oldest to win the award, breaking his own record when he won it two years ago at 34. Crawford was asked how he can still look like he’s 25 on the court. “Well, my wife (Tori) makes me drink a lot of water,” Crawford said. There were laughs from the large gathering, which included Crawford’s wife, their two children and Crawford’s mother. “It’s more about not cheating the game, being in love with the game,” Crawford said. Crawford averaged 14.2 points, 2.3 assists and 26.9 minutes during the regular season for the Clippers, who are currently in the playoffs and will take on Portland in Game 2 of their first-round series Wednesday night at Staples Center; the Clippers lead 1-0. Crawford also won the award in 2009-10 with Atlanta and 2013-14 with the Clippers, whose coach – Doc Rivers – put Crawford’s third such honor in perspective. “To be the only guy to score a certain amount of points in the NBA – (Kareem Abdul) Jabbar – the only guy to get a lot of assists – (John) Stockton, I mean, when you become the only guy in history, that means a lot,” Rivers said. To Crawford, his individual success is not so individual. Crawford’s teammates took in the ceremony. Blake Griffin talked beforehand about what Crawford has meant to the team. “Jamal’s impact on our team goes so far beyond what you can actually see,” he said. “It’s the things in the locker room, it’s the calming presence on the bench, the steady hand. And in a lot of ways, this award I think means so much to guys in this position because a lot of those guys who are sixth-men could go anywhere and probably start on a lot of teams. Crawford tallied 51 first-place votes and 341 total points from a panel of 130 sportswriters and broadcasters. Andre Iguodala of Golden State finished second with 33 first-place votes and 288 points and Enes Kanter of Oklahoma City was third with 19 first-place votes and 182 points. Jamal Crawford of the Clippers on Tuesday morning was named Sixth Man of the Year a record third time. Crawford, 36, broke his own record by becoming the oldest player to win the award. Crawford was 34 when he won it two years ago. He also won the award in 2009-10 with the Atlanta Hawks. Crawford tallied 51 first-place votes and 341 total points from a panel of 130 sportswriters and broadcasters. 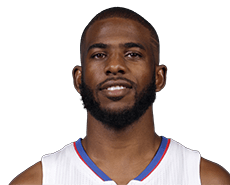 He averaged 14.2 points, 2.3 assists and 26.9 minutes while playing in 79 of 82 regular-season games for the Clippers. Andre Iguodala of Golden State finished second with 33 first-place votes and 288 points and Enes Kanter of Oklahoma City was third with 19 first-place votes and 182 points. Yes, the Clippers put it to the Portland Trail Blazers in Game 1 of their first-round Western Conference playoff series, the Clippers routing them 115-95 on Sunday night at Staples Center. But Clippers sixth-man Jamal Crawford understands it’s a long series and the Trail Blazers are not a team to be overlooked. “It’s just the start of the series,” said Crawford, who scored 13 points off the bench on 6 of 12 shooting. “They will make adjustments and do something different. They are a team that when their guards get going, we have our hands full. They are a really good team and they play really hard. Portland guards Damian Lillard and C.J. McCollum scored 21 and nine points, respectively. Lillard shot just 7 of 17, McCollum just 3 of 11.